Time for some pointlessness! So, I was messing around with an NES emulator and some color palettes I have and then I thought: "How would NES games look like with the 16-color Commodore 64 color palette? 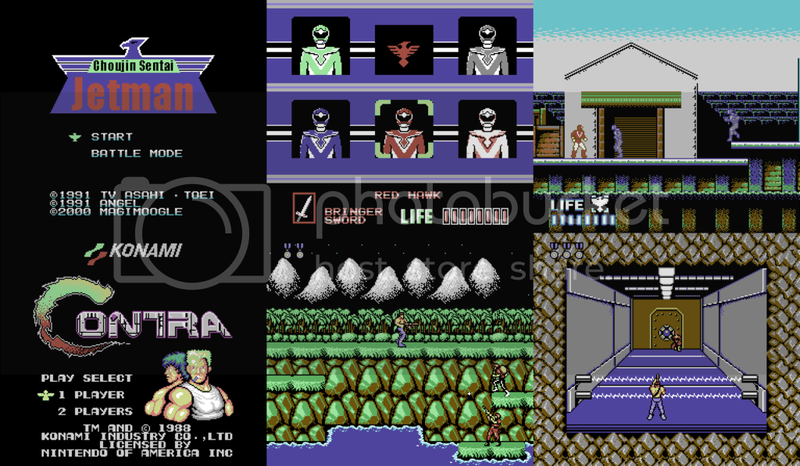 Or the EGA palette? So, I decided to adapt these colors in these palettes to the NES ones, as best as I could and make .pal or .act files, which you can use in FCEUX or any other emulator, that supports external palettes. First is the C64 palette. At first, I was gonna just do a quick copy-paste operation and just put whatever "new" colors are similar to the original ones. But then I decided to make color ramps for all the hues, so that the shades look good. I'm glad, I made that decision, because the results are much better. Speaking of the results, they are... interesting. Some games still look great, others don't. 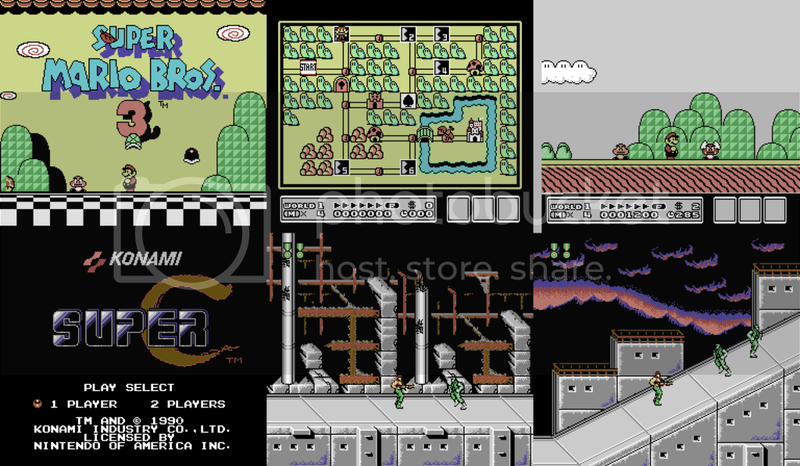 As you can see, C64 color palette uses very washed out colors and 3 shades of gray, and there are only 16 colors. This should create great limitations for the palette and it kinda does, but it also allows the user to easily create color ramps. So, even though it may not seem so, the graphics look quite similar to the original ones. 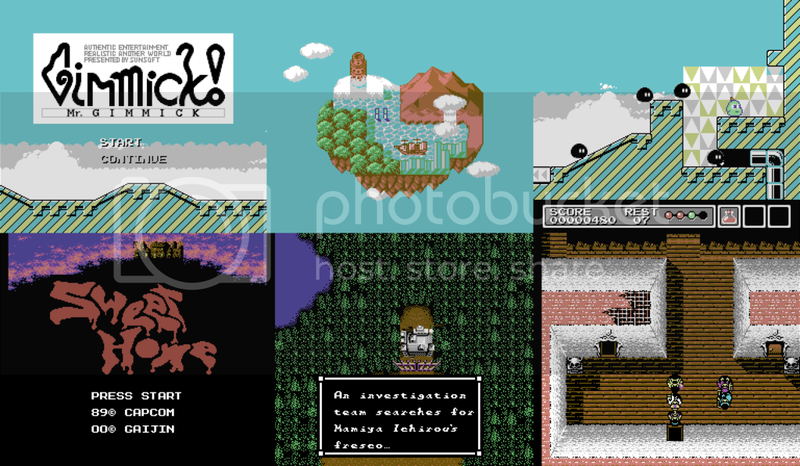 Here are some screenshots of various games, so you can see what they look like. 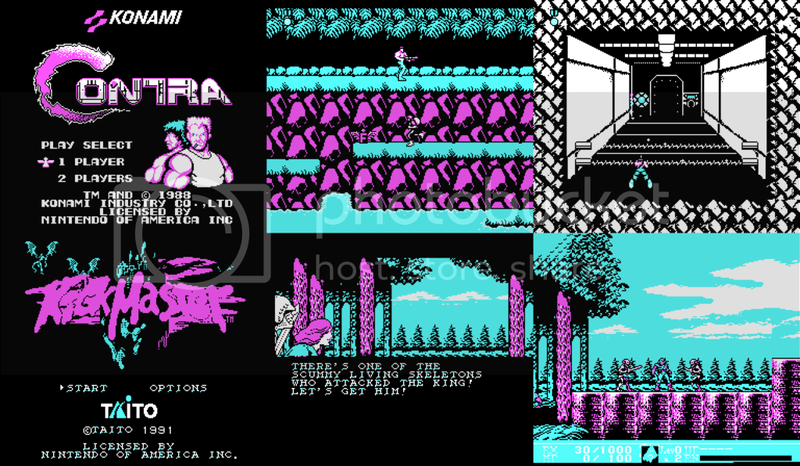 "Castlevania II: Simon's Quest" used a lot of grays to create a washed out color palette. 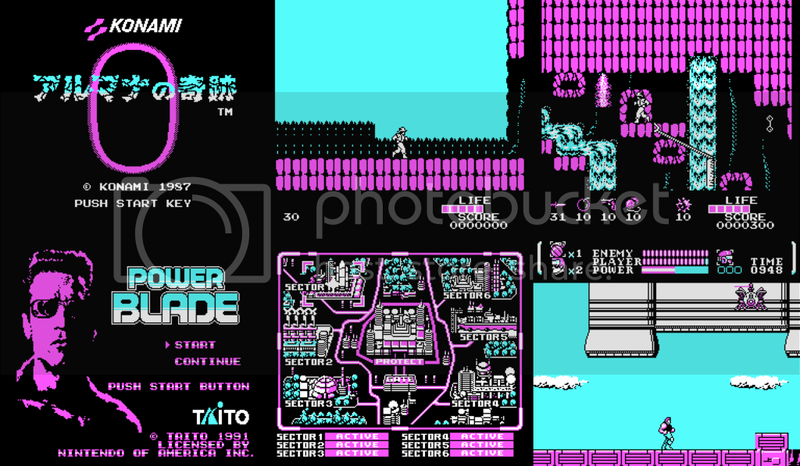 Now, with the C64 palette, there are even more grays! 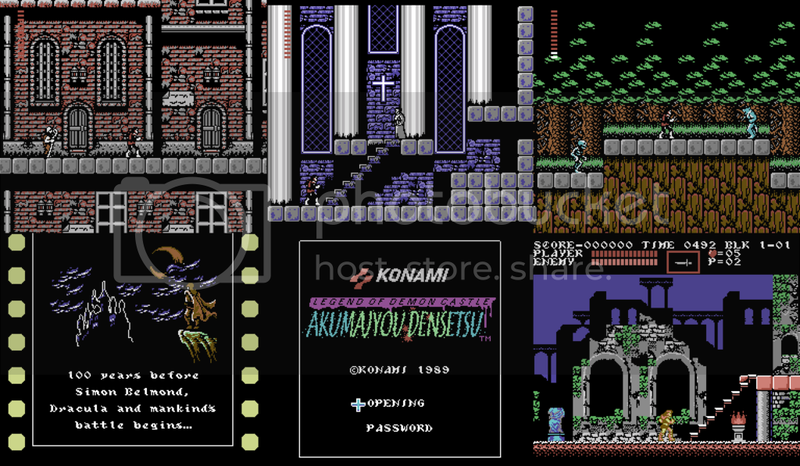 "Akumajou Densetsu"(Castlevania III: Dracula's Curse), on the other hand looks rather nice. Some games kinda suffer from this new palette. The C64 palette has only one yellow color, so I had to put either light brown, light red or light green in a lot of places. Because of that, the yellow ranger in "Choujin Sentai Jetman" is now a green ranger. I have to admit, "A Nightmare on Elm Street" looks amazing with this palette. 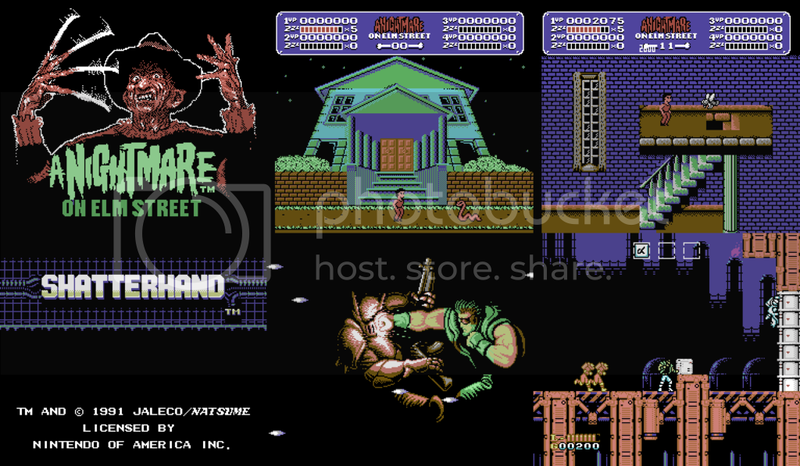 "Shatterhand" also looks great, but it's probably because it has some of the best graphics, the NES could offer, in my opinion. 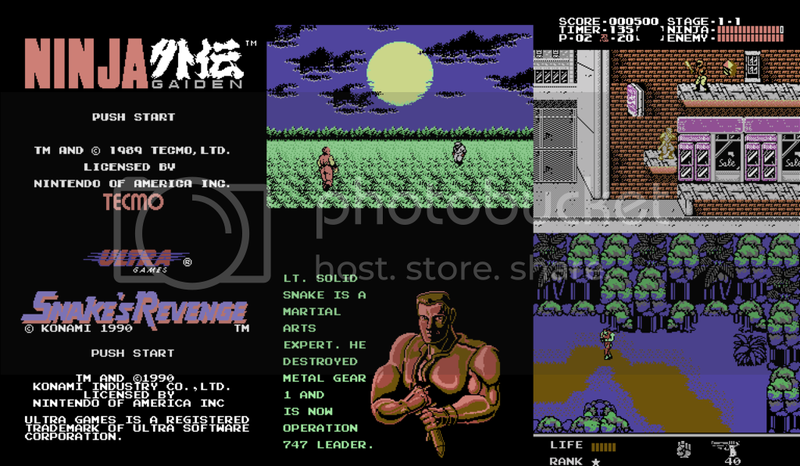 "Ninja Gaiden", on the other hand, wasn't converted well. We have a very grey-looking Ryu Hayabusa. Then again, he is a ninja, he is supposed to blend in with the environment. 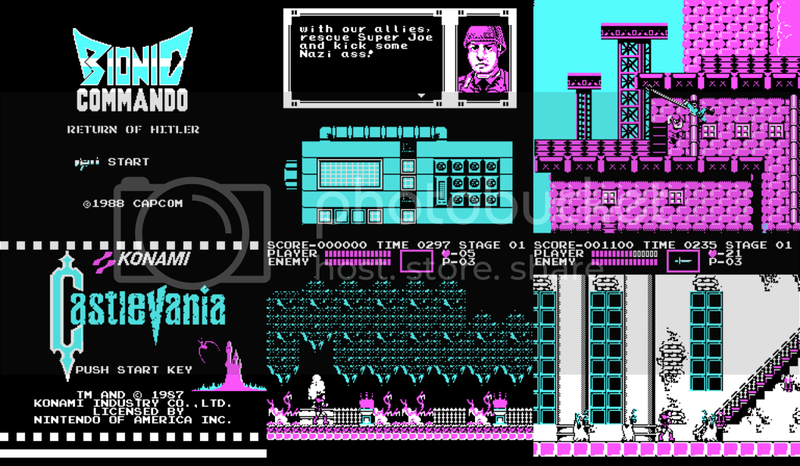 Some games really don't look good with this palette, though that may be, because of the graphics designers' color choices. "Devilman", for instance has incredibly bland graphics (especially considering it was made in 1989) and it suffers from the C64 color palette. It may not look so bad in the screenshots, but the enemies blend in with the background and it looks pretty bad. "G. I. Joe", on the other hand, looks pretty good. 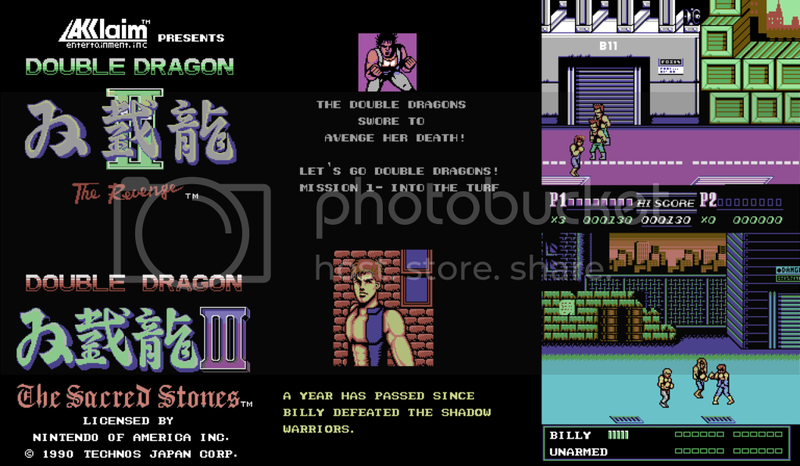 "Double Dragon II and III" look pretty great, though there is color loss. As you can see, we have a gray sky and the green in Mario's sprites looks very bright. This was the darkest green color in the C64 palette, so it ended up using that one. As for the sky, one of the brightest colors in this palette is, you guessed it, a light gray. When making the color ramps, I had to use it for the brightest shades, with the exception of the warmer colors, where I put yellow, because it's bright and I wanted to avoid gray skin colors. 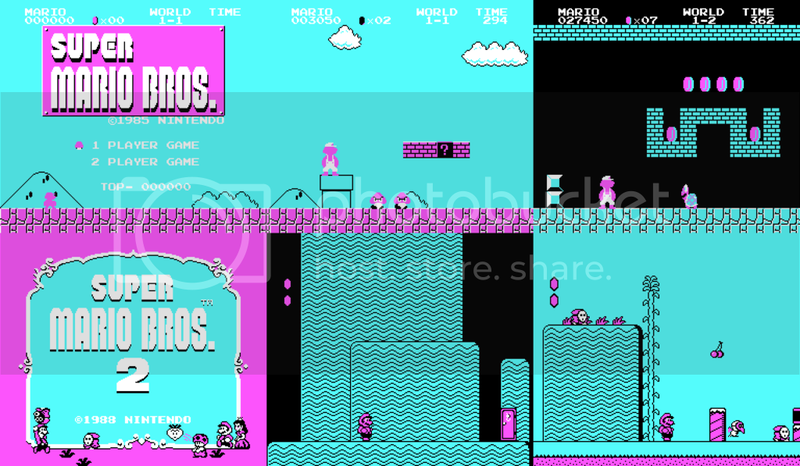 "Super Mario Bros. 2" looks a bit better, but not much. 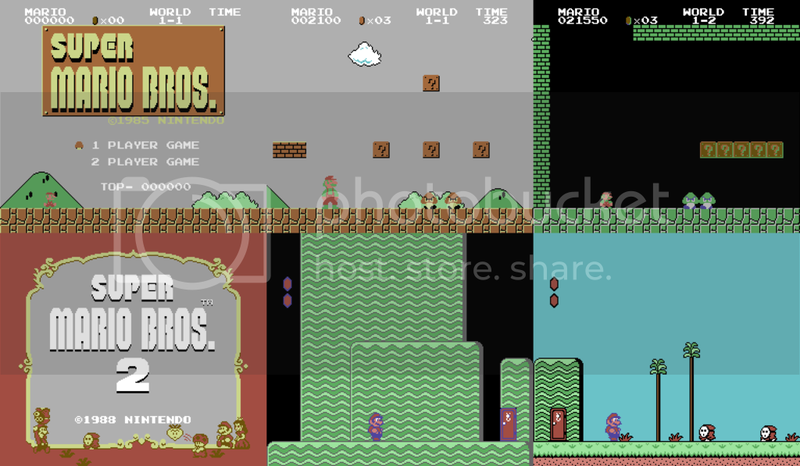 Finally, "Super Mario Bros. 3" looks really good, though, unfortunately, it still has gray skies. I'll finish this with two NES classics. Interesting how "Metroid" ended up using a lot of greens. Anyway, that's it for now. I'll post the palette as an attachment and test out your favorite games yourselves! 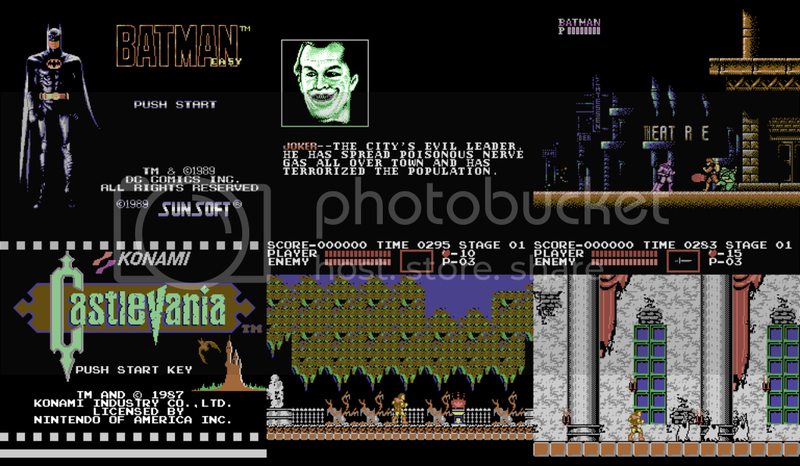 I'll be posting screenshots of games, using the CGA, EGA and Amstrad-CPC palettes. Hey, it's a very interesting concept! I always tough the C64 palette was quite a limitation, but most games looks good that way (they still don't use C64 resolution or other limitations, though). The gray sky could be easily fixed by using a blue C64 colour instead of gray for that particular colour, but then it will be darker than what it is supposed to. Might not be all that related, but why is Choujin Sentai Jetman's text in English? Isn't Super Sentai mostly just a Japanese thing? As for the color palettes, to be honest I didn't even notice the difference with a quick scroll. The C64 now impresses me. The C64 now impresses me. 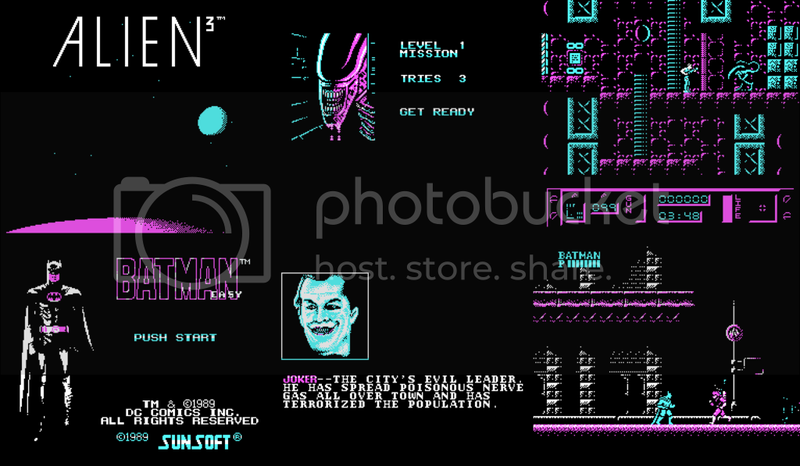 None of those screenshots could actually be rendered on the C64 - on the C64 each tile has either only 2 colours or 4 colours but shared by 2 consecutive horizontal pixels (effectively cutting the resolution in half). The C64's screen has 40x25 tiles instead of 32x30 like NES. The C64's sprite capabilities are much inferior to NES's. Might not be all that related, but why is Choujin Sentai Jetman's text in English? 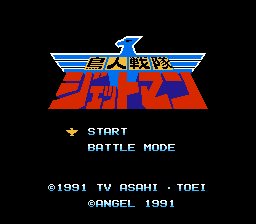 This is the actual title screen. 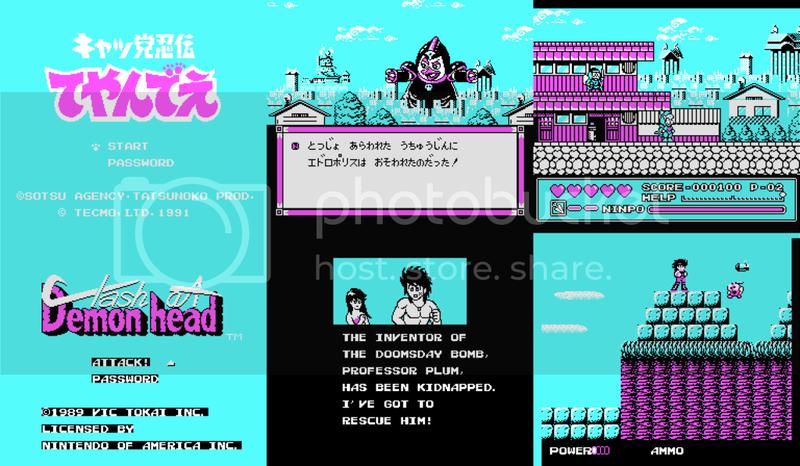 The title screen used above is from the fan translation by Mog House. Isn't Super Sentai mostly just a Japanese thing? Here, it's called "Power Rangers". The C64's sprite capabilities are much inferior to NES's. I thought the same thing until I saw Mayhem in Monsterland. 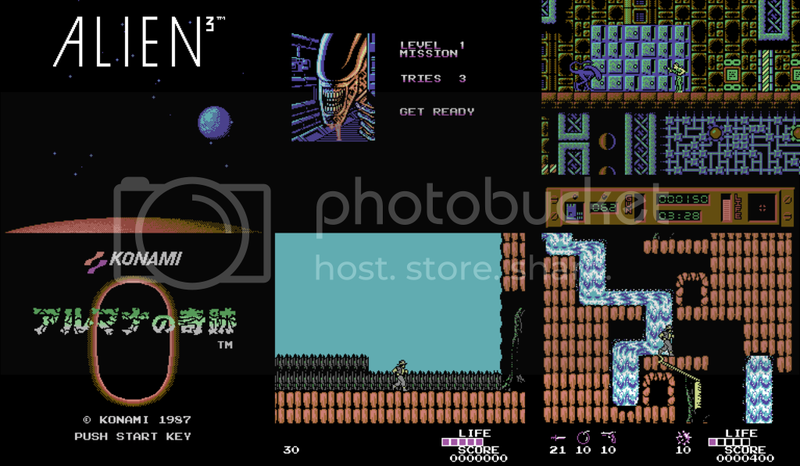 Let me explain in more detail: The VIC-II supports 8 sprites that can be moved mid-screen by a scanline IRQ handler. They are about as wide as 16 NES pixels but 21 lines tall. Each sprite has its own specific color. A hi-res sprite (24x21 pixels) can use only its own color and transparency. A multicolor sprite (12x21 double-wide pixels) can use three colors: the sprite's own color and two scene-wide colors for all multicolor sprites. Mayhem showed me the key trick that makes this roughly equivalent to NES capability: You can hide the effect of the double-wide pixels by overlaying a hi-res outline sprite on top of the multicolor sprite. 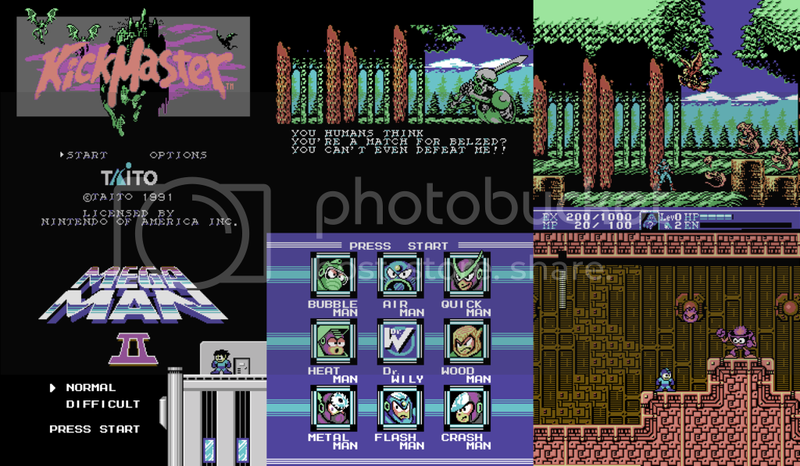 Mayhem in Monsterland (C64) uses the outline-plus-multicolor trick for Mayhem (the Bub lookalike) but not the Yoshis. K then. Just pointed that out cuz I don't think Jetman ever got overseas to Power Rangers. Some of those look good. Perhaps you should take PAL colour blending into account? From what I hear it almost became the first Power Rangers team (Saban started negotiating Jetman, it seems), but Zyuranger ended up being used instead. Regarding palettes, it's impressive how some games still manage to look good even though the C64 palette is much smaller, and the same color ends up replacing many different NES colors. At some point I tried the opposite of what's shown here... instead of mapping some other palette to the NES color space, I tried to map the NES colors into an RGB cube, so that I could use the same palette fading technique found in many Master System and Genesis games, where the color components are decremented separately one after the other. I couldn't do it though, even when I dedicated more than 2 bits for each component. First of all, I'd like to thank you for all the replies. I didn't expect this to turn into a conversation about C64 graphics and Super Sentai. 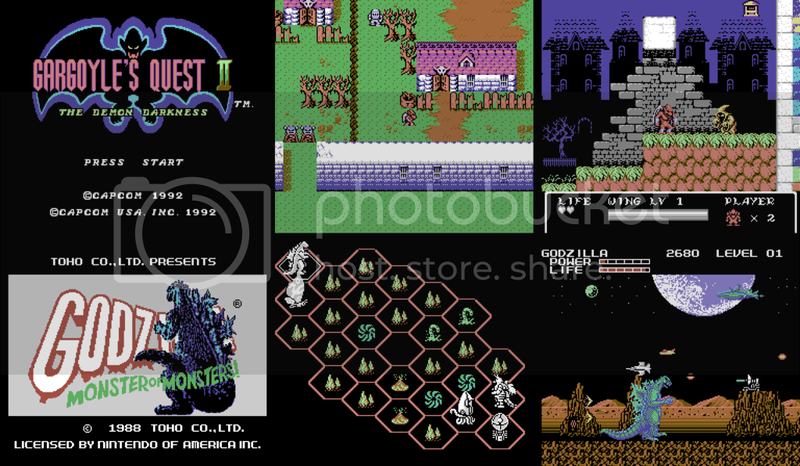 Anyway, while the NES's graphics wouldn't look like that on the C64, because of color and resolution limitations, they might be more accurately portrayed on the PC, since CGA and EGA graphics support 320x200 resolutions. 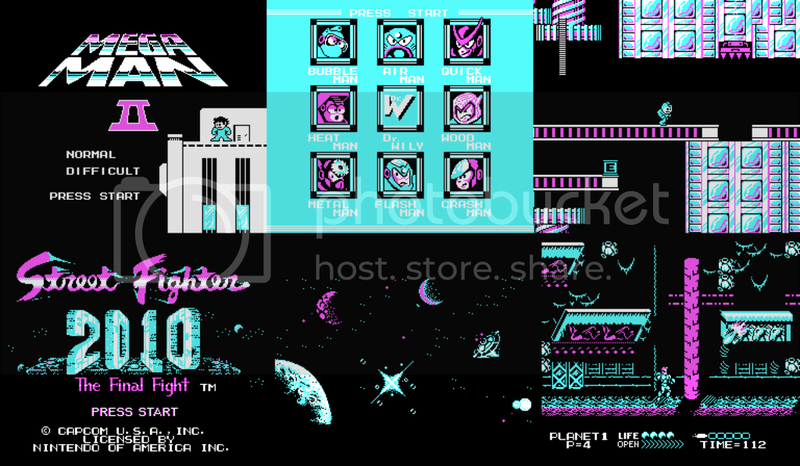 In this post, I'm gonna show you the CGA palette. If you're wondering, no, this is not the official family-friendly version of "Bionic Commando", this is the retranslation hack. "Contra" doesn't look that great, but it definitely looks much better than the actual MS-DOS version. "Kickmaster" has some sprites blending with the background, but other than that, it looks really good. "Devilman" still looks pretty bad. This time, the enemies don't blend with the background as much (at least not the ones, shown here), but Akira does, when he's in front of the brick buildings. It kinda reminds me of a ZX Spectrum game, because of that. 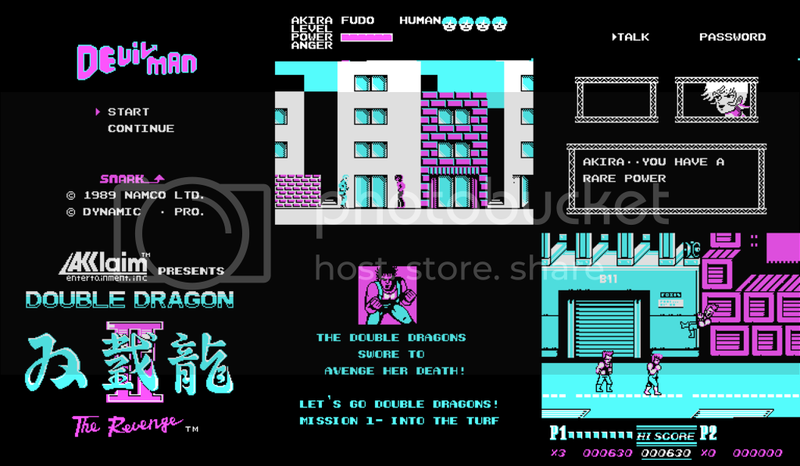 "Double Dragon II", on the other hand, looks pretty great. "Clash at Demonhead" looks surprisingly amazing. Now, who wants an MS-DOS port with CGA graphics support? "Street Fighter 2010" looks a little crowded, but, otherwise, it's fine. "Arumana no Kiseki" definitely has suffered. The main character looks like he hasn't been colored. "Power Blade" looks pretty good. Let's see if "Super Mario Bros." looks any good. Oh, dear God!!! No!!! Well, it does look a bit better with the Fireflower. "Super Mario Bros. 2" again looks a bit better, but not that much. 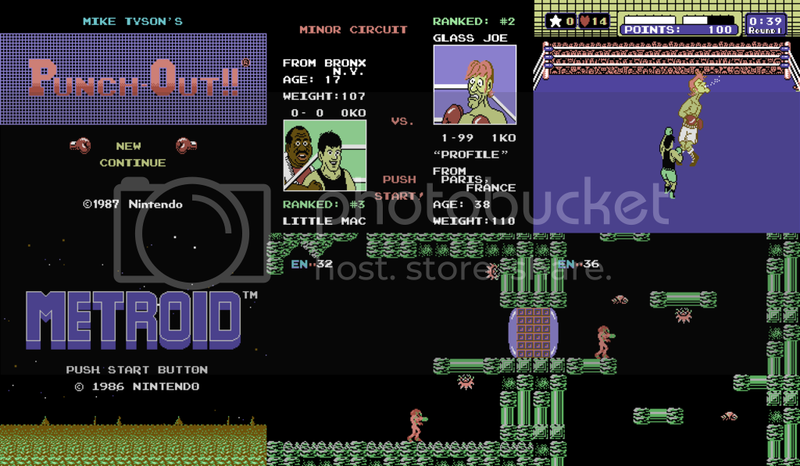 Once again, I'm ending this with "Metroid" and "Mike Tyson's Punchout"
Again, I have posted the palette itself as an attachment, so you can use it on your own and experiment with different games. Next time, I'll show you the 16 color EGA palette. plus, you can change the 4th color to any one of the 16 intrinsics (not just black, as you have here). This is entirely ignoring artifact colors over the CGA's composite output. The last two don't work on composite monitors nor on many CGA clones (nor any of the successors, either). Also the color of dark yellow depends entirely on the monitor (some output ochre, some output brown). Normally I'd have just treated it like grayscale (with cyan as light gray and magenta as dark gray) but huh you're right it looks much better than it seemed. It's using bright white-cyan-red on top and bright yellow-green-red on bottom. 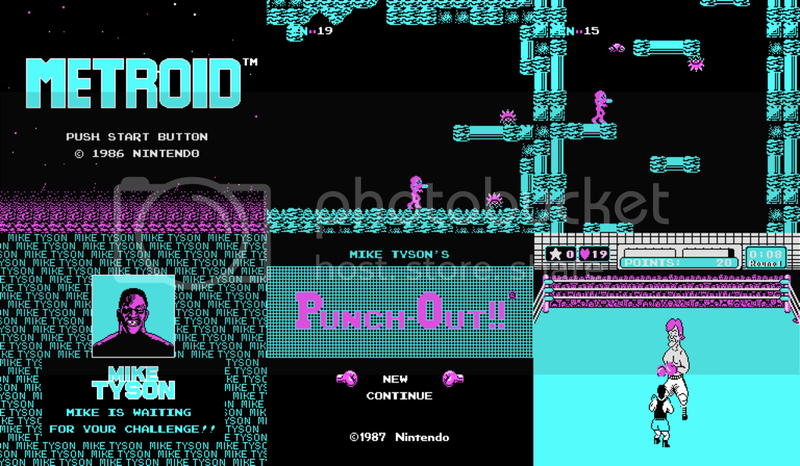 Anyway, certainly Commander Keen and Avoid the Noid used the bright white-cyan-magenta mode. I found a video of a bunch of random CGA-era games—a pretty good demonstration of all six palettes. Almost none of them change black, though... Sierra's games like King's Quest may be the only ones to set it to blue to get RGB+yellow. Most don't change black because otherwise you're left without a good dark color. The one at 4:06 does and... you can see the issue. 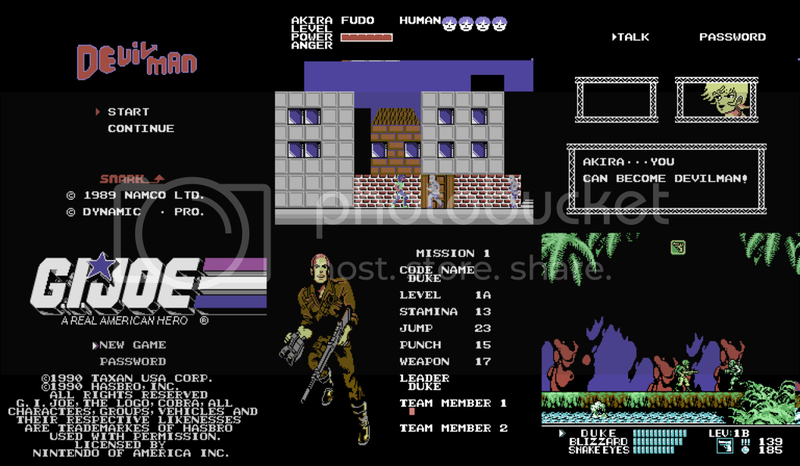 We need the "Micheal Bay" version of the NES color palette. I agree, CGA looks surprisingly decent in most of your examples.